It's winter and this is the perfect time to cook these warm and delicious french cannelés for the tea time. The season of the cherry is rather short, we have to take advantage of it. Cherries' clafoutis, traditional french dessert, is perfect for the sunday lunch. My secret? Perfuming the clafoutis with bay leaf. Today, I propose you to cook a really typical french dessert the coffee cream puff. We call it in french Religieuses which means litteraly nuns or sisters. Before beginning, specially if you are a beginner, I highly recommend you to watch first the video about tips you have to know to success. It's really important to listen to my advices to avoid to fail. 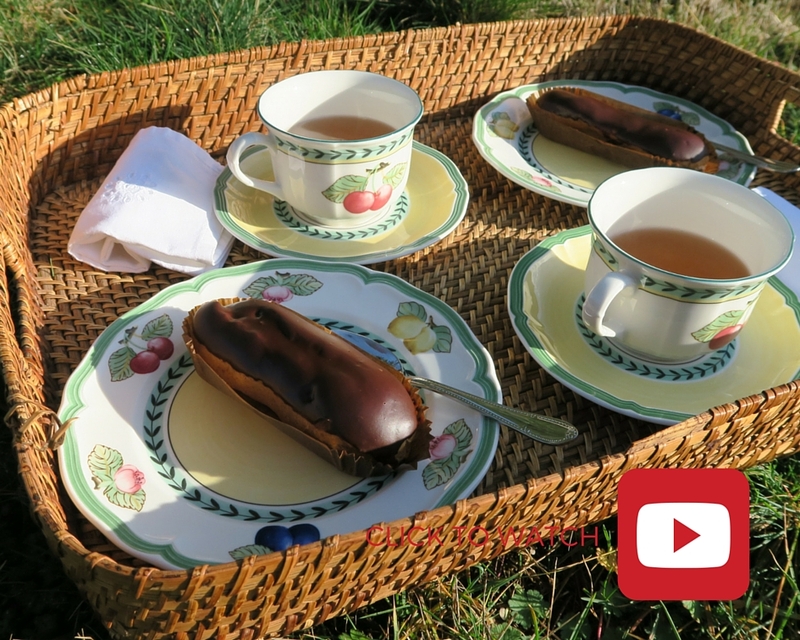 And also it's better to begin by the recipe of the chocolate eclairs. Because of their feminin curves and their white colarettes, these cakes look like sisters in a covent. It's why they are called nuns ! Cook them and you will impressed your friends. They are very very good, specially for the coffee break at the end of the lunch. The financiers translate litteraly means the businessmen. First, the financiers are just delightful. They are irresistible and their small taste of butter is overpowering. Second, the financier's pastry is a basic preparation you have to know absolutely because we will use it to make more complex cakes and also to make tarts ! Therefore if you want to follow me, you should learn to make this pastry. Also, this recipe is ideal to use whites of eggs. If you prefer a shortest video, I provide one HERE because I want you to have the choice. But, I recomend you if you are a novice in cooking pastries to begin always with the longuest version (less than 15 minutes !). So, you can listen to my tips if you cook the recipe for the first time. For the next times, when you’ll already know the recipe, the long version will certainly become less useful. The madeleine is very famous in France. Everybody know it. It's a part of our culinary heritage. It's also a part of our history. Actually, This story beside is perhaps a legend, perhaps true, it is really difficult to know the madeleine's real origine. Nevertheless, this story is transmitted in every family and I have always heard about it. The madeleine, it is sure, is at least the queen of snacks and breakfasts. Needless to say that my recipe is glutenfree and milkfree. If you're interested in cooking this very old and famous little cake, let's move on together with this recipe on COOK WITH ME, just below.